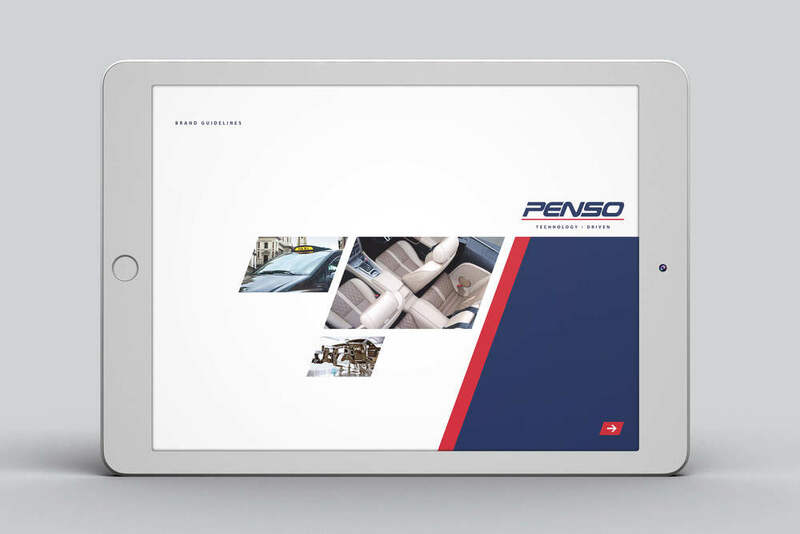 Developing the existing logo design, we were commissioned to create a new brand look and feel that positioned Penso as a 'technology driven' engineering specialist. We developed a visual language based on the angle of the italicised type within the logo. The resulting design is a simple, stylish look that reflects the quality and expertise of Penso. A major part of the work was to design, develop and build of a new responsive website, editable via a content management system (Wordpress), giving the marketing team the ability to blog and update the site independently. The re-brand stretched across all areas of the business including brand guideline design, stationery design, van livery design, presentation documents, exhibition stands and promotional products.